I am SO with you on picking out buttons. I had to go out (on Black Friday, no less!) to find buttons for my current secret project, and I was about ready to die. Poor Andrew ended up picking them out just to keep me from crying from frustration. I think he did a good job, but then, my cluelessness about buttons is the whole problem, so what do I know? Also with you on thinking that well-fitting sweaters are important no matter the size of the sweater-wearer. I adore your Tuckernuck pattern! Wow, I love those mittens. That’s a beautiful pattern. okay, i adore the mittens. What an absolutely festive knit! LOVE them both. 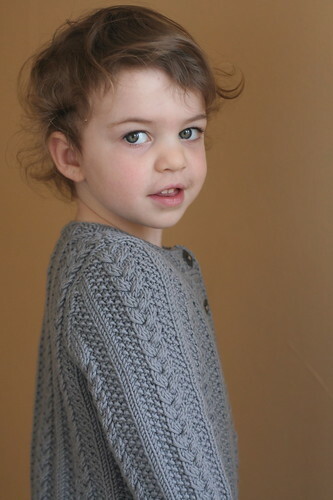 I especially love the tuckernuck cardigan–going to run out and buy IK right now, just for that. 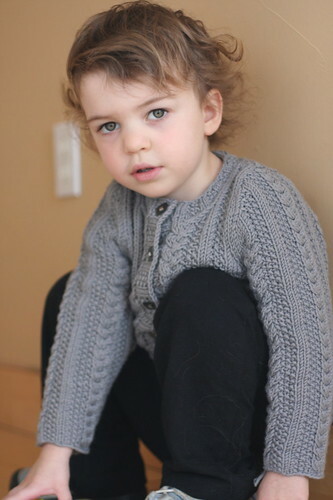 Good choice of name as well–I can see that cardigan coming in very handy for wrapping up a soggy toddler on the boat ride back from tuckernuck to nantucket after a day of fun in the water. 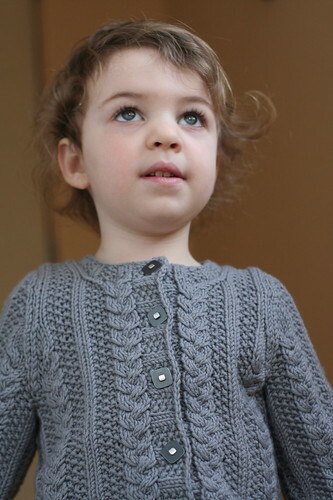 The cable sweater looks so gorgeous & the buttons are perfect. Love the hat! I may have to learn a new skill and try that one! Hello. Love your patterns! Tried to order 3 of them last night using a Visa debit gift card (with the special promotion code). It was not accepted. Am sorry to miss out on the pattern sale. Am waiting to hear from Ravelry. Perhaps they can help with my order.